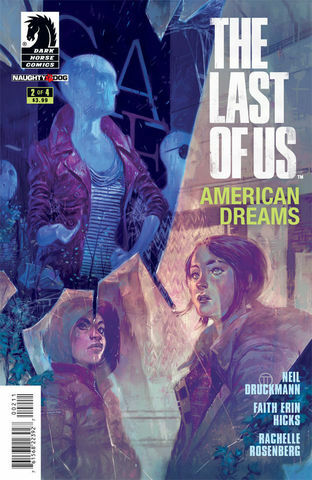 Naughty Dog creative director Neil Druckmann and rising comics star Faith Erin Hicks team up for the comics-exclusive first chapter of the wildly anticipated new game, The Last of Us! Nineteen years ago, a parasitic fungal outbreak killed the majority of the world's population, forcing survivors into a handful of quarantine zones. Thirteen-year-old Ellie has grown up in this violent, post pandemic world, and her disrespect for the military authority running her boarding school earns her new enemies, a new friend in fellow rebel Riley, and her first trip into the outside world, where she is confronted with a dangerous insurgent group - and with the monstrous victims of infection! Eleven "Powerhouse Pepper" strips, three "Supersonic Sammy" stories, and one "Hot-head Hotel" make up the meat of this marvelous tome — a worthwhile wad of Wolverton (early Mad, Marvel monster comics, Plop, Spacehawk, "Lena the Hyena" in Li'l Abner) wit we're sure you'll want to welcome (with a wail), whisk up, weep over, wince over, whinny and whoop over. Congo Bill, another Vertigo reboot of a golden-age artifact, with high-contrast artwork and Richard Corben covers. "The jungle adventurer, the golden ape, and the strange power that links them return with a vengeance in a new VERTIGO miniseries that blends big guns, war action, black magic, and real-life historical events into a potent brew. A crack team of black ops travels deep into war-torn Africa on a mission so covert that only their team leader knows their objective...a horror surpassing their wildest imagination. The journey down river will test the limits of their skill and endurance, but for one team member, the key to survival is far more complex. For something else has followed him into the jungle. Something he cannot hope to escape"
Kicking off with a trainload of Nazi officers drained of blood, the Bureau for Paranormal Research and Defense learns that there are things far more ancient and dangerous than they could have imagined in this direct sequel to B.P.R.D. : 1946. Broom enlists an already damaged crew to lead an investigation that may be doomed before it can begin, climaxing in a witches' Sabbath, a vampire massacre, and an exorcism. Exploding out of the pages of the WONDER WOMAN ANNUAL #1 and AMAZONS ATTACK! J. Torres (WONDER WOMAN, BLUE BEETLE) and Sanford Greene (BATMAN STRIKES, LEGION OF SUPERHEROES IN THE 31ST CENTURY) bring a six-issue miniseries starring DC's mightiest teen! After the disastrous events of AMAZONS ATTACK, Wonder Girl strikes out to tie up some particularly monstrous loose ends. But with the rift between her and Wonder Woman, she's going to need the help of the last man on Earth she ever wanted to see again! WONDER GIRL will take Cassie Sandsmark to all corners of the DCU, from the dangers within WONDER WOMAN to TEEN TITANS to COUNTDOWN, and will change Wonder Girl forever! All High Quality Minutemen Scans. A westerner's visit into North Korea, told in the form of a graphic novel. Famously referred to as one of the "Axis of Evil" countries, North Korea remains one of the most secretive and mysterious nations in the world today. In early 2001 cartoonist Guy Delisle became one of the few Westerners to be allowed access to the fortresslike country. While living in the nation's capital for two months on a work visa for a French film animation company, Delisle observed what he was allowed to see of the culture and lives of the few North Koreans he encountered; his findings form the basis of this remarkable graphic novel. Pyongyang is an informative, personal, and accessible look at a dangerous and enigmatic country. The follow-up graphic novel to the acclaimed Pyongyang: A Journey to North Korea. Shenzhen is entertainingly compact, with Guy Delisle's observations of life in a cold urban city in southern China that is sealed off from the rest of the country by electric fences and armed guards. With a dry wit and a clean line, Delisle makes the most of his time spent in Asia overseeing outsourced production for a French animation company. By translating his fish-out-of-water experiences into accessible graphic novels,Delisle is quick to find the humor and point out the differences between Western and Eastern cultures. Yet he never forgets to relay his compassion for the simple freedoms that escape his colleagues by virtue of living in a Communist state. Volume 2 contains issues #5-7 including the stories "Complete Carnage and Radical," "Leatherhead," and "The Return of Savanti Romero." 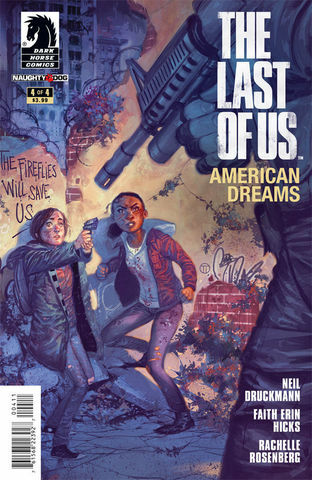 Includes all pinups and extra art from each issue. Adventurers. Celebrities. Family. They are the Fantastic Four, the world's greatest Super Hero™ team: scientific genius Reed Richards, with the ability to stretch and contort his body into any shape imaginable; the beautiful Susan Storm, who can render herself invisible and create and project powerful force fields; Sue's brother, Johnny Storm, who can engulf his body in flames and take flight at will; and Ben Grimm, whose freakish transmutation turns him into an orange-colored, rock-like, superhumanly strong creature. The first property from Top Cow and Heroes & Villains Entertainment is here! Enter a world of werewolves and serial killers unlike anything you've seen before. This limited First Look was previously available only at San Diego Comic-Con. After a brutal massacre takes place in a mansion, real estate agent and family man Richard Ashwalt is assigned the impossible task of cleaning the property and picking up the pieces. As Richard cleans the blood-soaked grounds, a twisted old man journeys to the house with a sinister and terrifying purpose. Richard is about to be drawn into a web of shadows, murders and massacres that will shatter him to his very core… and make him run for his life. Written by Alan Moore Art and cover by Gene Ha The Eisner Award-winning TOP 10 team of writer Alan Moore and artist Gene Ha reunites for a softcover edition of the original graphic novel that delves into the past, revealing the origins of Neopolis and the first officers of Top Ten! Meet the original Top 10 officers who blazed the trail and made Neopolis the city it is today!